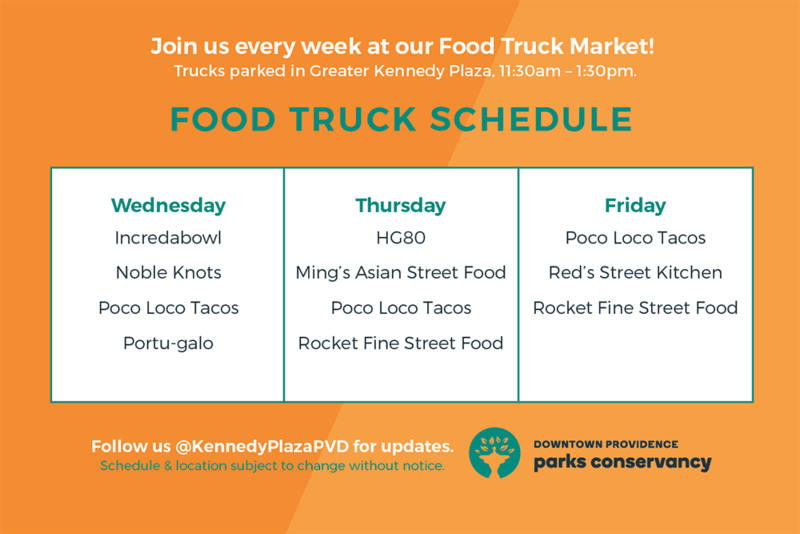 The Downtown Providence Parks Conservancy is so excited to announce the 2019 spring and summer schedule for the Kennedy Plaza Food Truck Market. 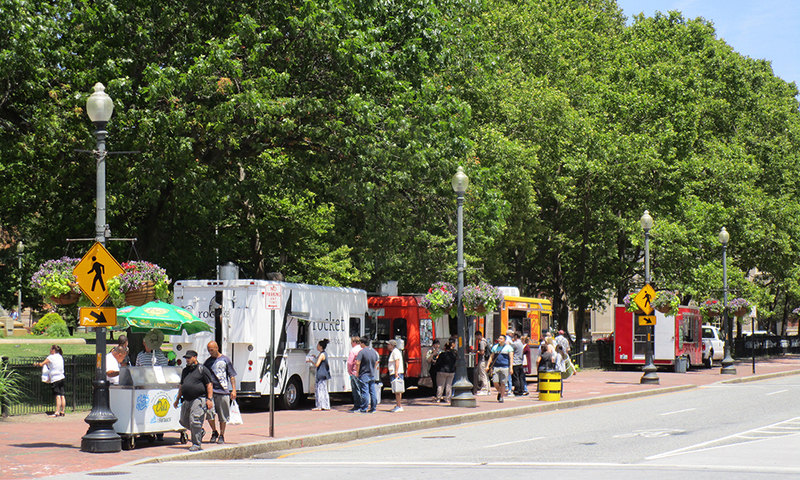 This year we have a delicious line up of trucks Wednesday through Friday in Kennedy Plaza. Please note, this schedule is subject to change without notice, follow @KennedyPlazaPVD for up to date announcements of food truck cancellations. Due to plans by the City of Providence, the location of the trucks may change to accommodate construction. Trucks will always be visible from Burnside Park. Pick something up and bring it over to enjoy in the park. Download the schedule and hang it up in your cube, office or break room.